As development within the village began to expand and public areas like the health clinic, the water well, and the schools garnered more attention, it soon became apparent that the people needed a place to worship. With the help of both Kenyans and Midwesterners, Pastor Nzioka acquired a large piece of land from the government in 2013; it was just the right size to house a church and a children’s home, two places of refuge for those living in Thwake. In partnership with the Heartland Presbytery, the Kikuyu Presbytery of East Africa helped establish the Thwake Presbyterian Church, construction of which was completed a mere six months after the land had been obtained. Thwake villagers waited until Pastor Nzioka and his friends from Kansas City made it back to the village in 2013, and one Sunday while they were there the Kikuyu Presbytery held a dedication ceremony and officially opened the church. It quickly filled with over 100 new members, and remains a thriving congregation to this day. In 2018, Thwake Village Partnership also funded an addition to Wote Presbyterian Church. Wote is the capital of Makueni County (Thwake is also located in Makueni County) and home to approximately 56,500 people. 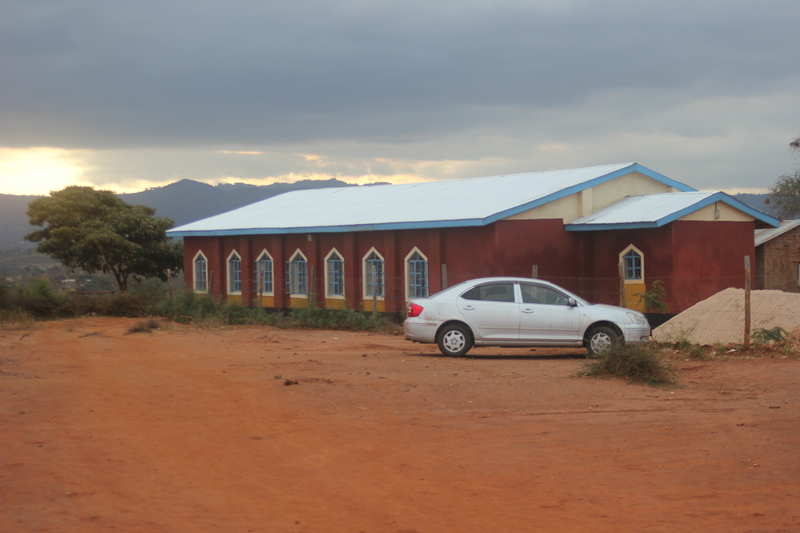 The Wote Church addition houses the Sunday school classrooms and multipurpose hall, a kitchen, an office and bathrooms. I am a member of village Presbyterian Church and I serve on the missions committee with Dr. John Hall. Our family is in the early stages of planning a trip to Kenya at the end of July this year. Can you let me know where specifically Thwake Village is located? We would love to try to incorporate a visit to the village if at all possible. Thwake is located about 75 miles east of Nairobi. The next mission trip that one of the Village Church’s pastors will participate in is June 2018. If you are interested in learning more about this trip, please email lora.garrison@villagepres.org. Thank you!